Just as the equipment side of the golf industry continues to grow, so too does the apparel side. THP was recently able to get a closer look at some of the offerings from “Royal Golf”, an apparel company which looks to make headway with golfers through modern aesthetic styles and materials combined with an affordable price point. 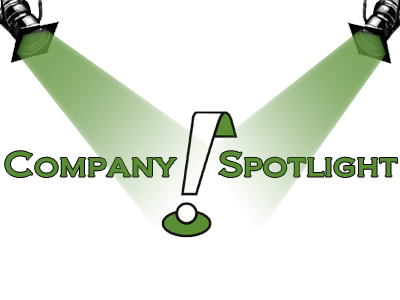 The company sent in three different pieces for THP to take a closer look at. When you feel confident, you play with confidence. Inspiring this confidence, Royal Golf is a company designed to make you look and feel like royalty. 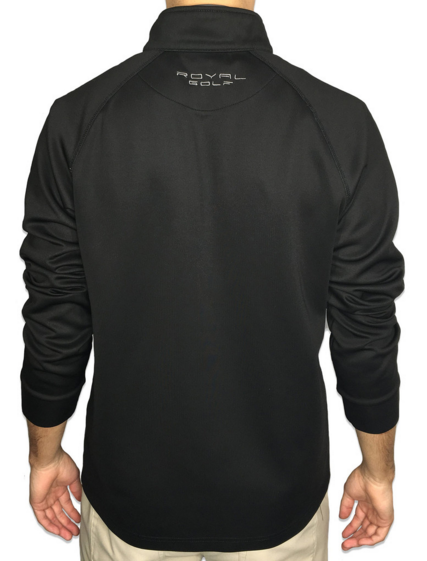 Providing an affordable and performance oriented brand, Royal is perfect for any player. Our mission is simple: make the game of golf more enjoyable through passion, design and pursuit of innovation. Stay warm with the Quarter-Zip pullover by Royal Golf. Consisting a poly/spandex fabric at just the right thickness, this jacket will be perfect for those early morning and late season rounds. The 1/4 zip was easily the favorite piece which Royal Golf sent in when it came to design, quality, and fit. The pullover is poly based but is firmly on the denser end of the spectrum when it comes to weight, not so heavy to impede motion, but enough to really keep the core warm while out on a colder day. The fit is definitely more “traditional”, particularly through the chest and provided a decent bit of play there for this reviewer. Those who shy away from more tapered Euro-style cuts would do good to look here. Over several wash and wear cycles the garment held up very well in terms of keeping color and shape. That said the material and texture is one which historically can snag if not aware of surroundings, there were no issues for this reviewer, but it is something to keep an eye on. At $44.99 the cost to quality ratio is a win here for the consumer. The all new Imperial Polo by Royal Golf sports a poly/spandex blend providing a soft, breathable, and forgiving fabric leaving you with a comfortable fit. Pairing this with an exceptional colorway, the Imperial Polo is a must have addition to your golf wardrobe. 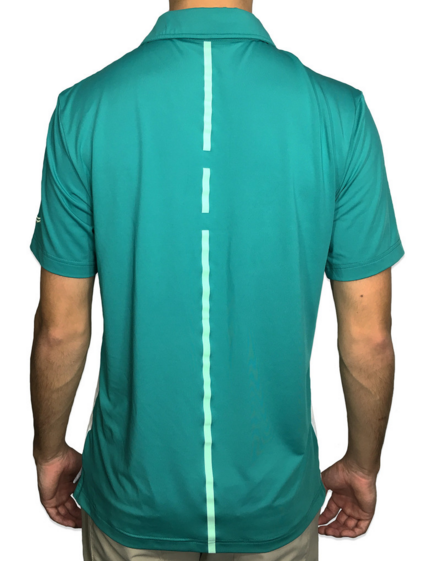 The Imperial polo is a relatively simple and clean multi block stripe design featuring a combination of white with two different tones of teal. The shirt has a traditional two-button placard with somewhat elongated collar featuring a sharper front shape. Style wise, it’s a pretty versatile garment which could be worn on and off the course if it fits the individuals preferred style. The material is actually a very nice overall weight and thanks to its makeup does feature wicking capabilities. One curious aspect on the design is the “Royal Back Stripe” which unlike some other brands appears to simply be aesthetic here, but it does look kind of cool. The cut is definitely traditional and features more room in the shoulders, chest, and core than many offerings. In terms of quality the stitching held up fine in time spent with the shirt and for the price point ($29.99) this makes it a potentially interesting option for those who like the aesthetics of the polo. The Triumph Polo by Royal Golf sports a poly/spandex blend providing a soft, breathable, and forgiving fabric leaving you with a comfortable and exceptional fit. 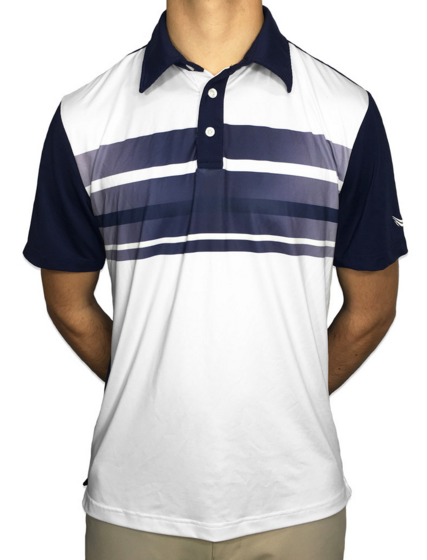 Along with this, the Triumph Polo adds a unique gradient tri-stripe design, making it a must add to your golf attire. 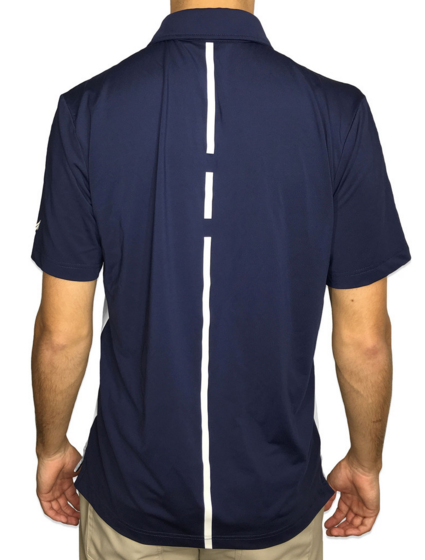 The Triumph by comparison to the Imperial polo is a much more graphically based design featuring a navy sleeve and back panel with white based front and fading in/out chest graphics. 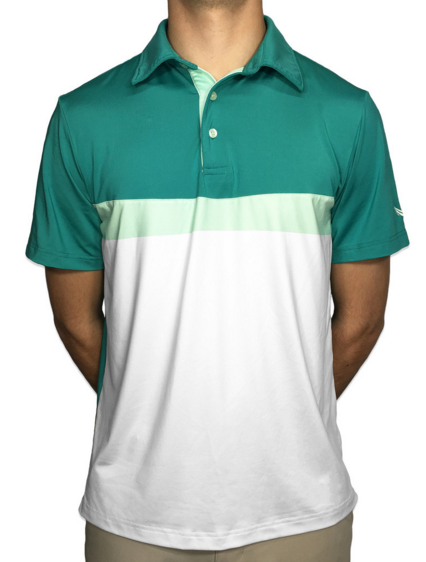 This shirt also has a traditional two-button placard with a more pointed collar akin to what you see on FootJoy polos. The same material is utilized here (poly based) and it has a nice weight to it. As with the other polo offering THP got in-hand, the overall cut is traditional in shape with plenty of room through the shoulders, chest, and core. While this may not be everyone’s style with the current trends, it is a very nice look/fit, particularly at the $29.99 price point. Options are always a good thing, particularly when it comes to apparel where everyone has a different kind of style from the next. Royal Golf is entering the arena offering solid quality at a very reasonable price point. It will undoubtedly be interesting to see how there styles continue to evolve in the future. For more on Royal Golf, be sure to visit their website www.RoyalGolf.co. Nice spotlight James. The 1/4 zip looks great. The pricepoints are perfect too. The styes aren’t basic but not crazy. Will definitely give this brand a look. Good info James. 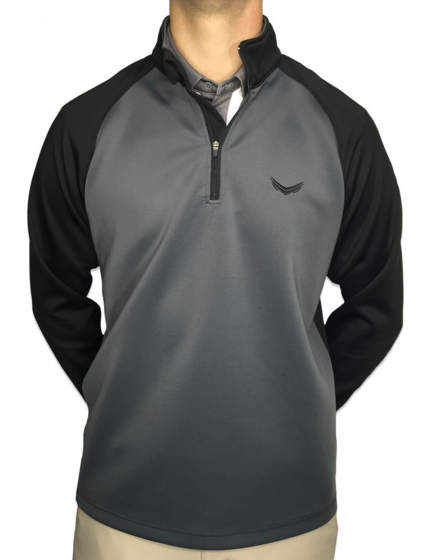 The 1/4 zip looks good and sound like a solid option for cold days. The polos look good. Good stuff here James! Never heard of this company but those are some fantastic values on the 1/4 zip and polos. When I saw that 1/4 zip I immediately thought it may be one easy to snag and you covered that in the review. Will have to keep an eye out for these, really dig the looks of the shirts, especially the Triumph. Enjoyed the review. I do like having reasonably priced quality options and these seem to fit the bill. Styling and traditional fit work for me. Some interesting looks, love that 1/4 zip! Nice write up, James. I bought that exact 1/4 zip a few weeks ago. It is crazy soft. I love Royal’s reasonable pricing, and I hope the company finds enough success to stick around for a long, long time. Wow really like the looks of these! Will definitely have to check these out! And awesome write up as always James!